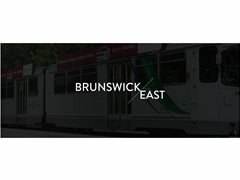 Brunswick East 101 is a comedy series following lives of 4 housemates living in Brunswick East. Depicting real, everyday Australian scenarios wrapped in a blanket of comedy. This series woes to break stereotypes, positive & negative. Think of it as a blend of "New Girl" & "Friends" in shot in a similar style to "Brooklyn 99" and "The Office (US)". We are looking to cast some key roles for the pilot. This is currently an un-paid casting but if picked up by networks, paid roles to follow. Maaya, (spelled with double a) is your new age Australian. A strong & independent individual who can not stand discrimination. Not scared of voicing out her opinions. The character needs to have soft subtle hipster vibe to it. This is a speaking role. The male character is required to greet a customer and ask if they are there to pickup some food. This is a speaking role. A hipster young male in early 20s. Man bun required. Previous acting experience preferred but not required. This is a speaking role. Hippie character. Very spiritual. Previous acting experience preferred but not required. Bar Staff for Outdoor Cinema!